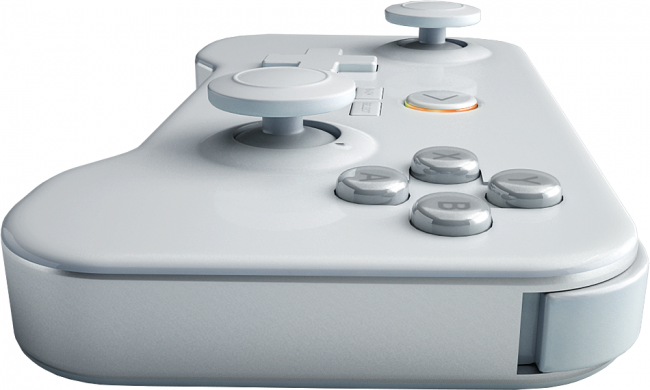 The Kickstarter project GameStick has come a long way since its day of raising money on the crowdsourcing site. The device is set to hit retailers this year and with E3 right around the corner, what better time to drop a trailer for it. The device is an HDMI stick, which you then stick into a port, basically turning whatever display you use into a gaming system. The stick fits perfectly into the back of the specially designed controller, allowing anyone to be a top-notch mobile gamer. Think of it as OUYA, but way more portable. The trailer is pretty cute – a young girl sneaks her way into a movie theater before it closes, then plugs in her GameStick after the lights go out. She then has an Android-powered gaming system on a huge screen, but watch out for the usher! Luckily the two are gaming nerds and quickly fall in love. Yep, that’s a real life scenario. Waiting to get your hands on that GameStick?